It might be time to lay off the cheeseburgers. A new report published by the US Centers for Disease Control and Prevention (CDC) this week reveals that more than a third of American adults admitted to eating fast food on any given day between 2013 and 2016. The data reveals that every day of the year, 36.5 percent of American adults consume fast food. That works out to nearly 85 million Americans eating fast food daily. However, the CDC didn't specify whether that figure has increased or decreased since 2016. "Fast food is a part of the American diet and has been associated with high caloric intake and poor diet quality," the CDC noted in its statement, also adding that time scarcity, financial resources, price and availability may all be factors affecting rates of fast food consumption versus consumption of healthier foods like fruits and vegetables. Excessive consumption of fast food has been associated with obesity, heart disease and diabetes. However, who is eating all this fast food may surprise you. The report reveals that nearly 45 percent of Americans between the ages of 20 and 39 eat fast food daily, while only 24.1 percent of those 60 years old and above exhibit the same eating habits. In addition, surprisingly, the CDC found that people with higher incomes are more likely to eat fast food, although poor diets are typically associated with poverty. 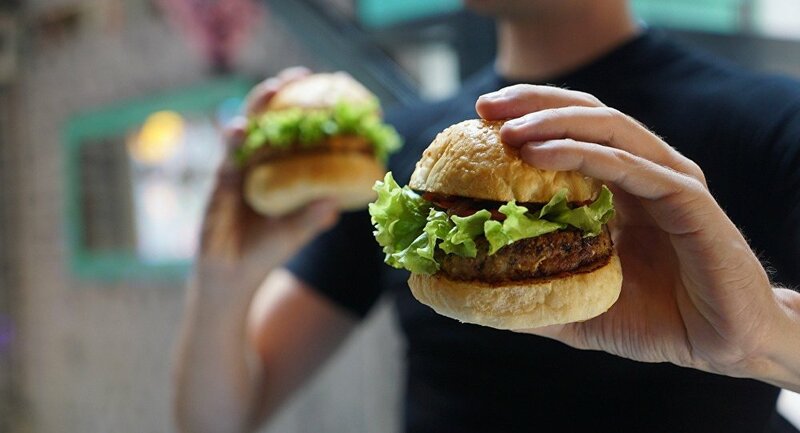 The study also found that men tend to eat fast food for lunch, while women are more likely to eat fast food as a snack. In addition, the CDC found that African Americans are most likely to eat fast food, followed by Caucasians and Hispanics. Asian Americans were the least likely to eat fast food.